This pretty silver mermaid wine stopper looks beautiful on any bottle. 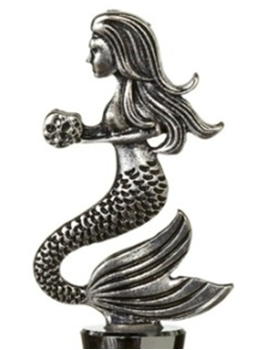 This pretty silver mermaid wine stopper looks beautiful on any bottle. Purchase it for your own home bar or as a thoughtful gift for any friend or family member who loves mermaids. Made of zinc alloy with rubber stopper.